Madeleine Thien is the Canadian-born daughter of Malaysian-Chinese immigrants. She holds an MFA in creative writing from the University of British Columbia. She received the 2001 Canadian Authors Association Air Canada Award and the 1998 Asian Canadian Writers' Workshop Emerging Writer Award for fiction, and her collection Simple Recipes was named a notable book by the 2001 Kiriyama Pacific Rim Book Prize. Thien won the 2006 First-Novel Award from Amazon.ca and Books in Canada. The first novel award comes with a prize of $7,500. She lives in Vancouver, British Columbia. Madeleine Thien is currently considered a "single author." If one or more works are by a distinct, homonymous authors, go ahead and split the author. 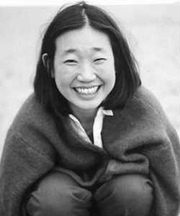 Madeleine Thien is composed of 5 names. You can examine and separate out names.